In the spirit of the Stir It Up! 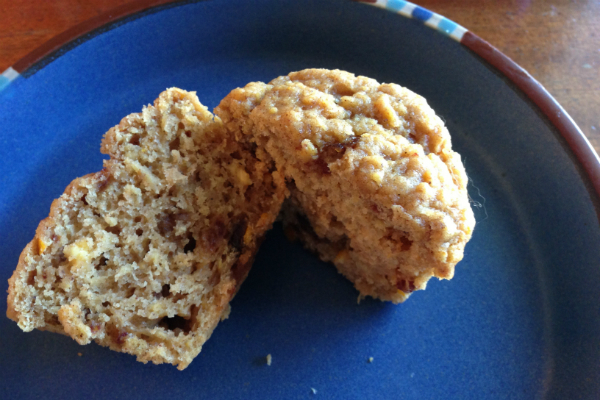 muffin mix-off, I was inspired to mix together a batch of these wonderful orange, date, and cinnamon muffins from “Sun Bread & Sticky Toffee: Date desserts from everywhere” by Sarah al-Hamad, just out this month from Interlink Books (July 2013). I had found some dates in my cupboard that needed to be used up. Their sugars were crystalizing on their skin so including them in a baked good was really the best option. 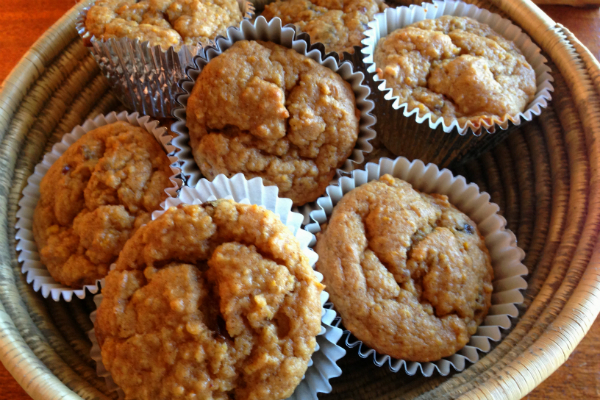 I first tried a recipe for date muffins I found on my box of bulger wheat, and while they were certainly tasty and served as a perfect pre-swim treat before swimming across Walden Pond last Saturday morning, they were somehow laking in their small, pale shapes. That’s when I remembered I had a copy of “Sun Bread & Sticky Toffee” sitting on my desk at work. 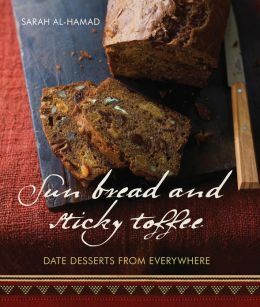 In the introduction to the orange, date, and cinnamon muffins, al-Hamad ties the use of dates to the rich merchants of 1500 Elizabethan England who used them as sweeteners and also to thicken custards and pies. The combination of oranges with spices at Christmas grew out of this tradition that spread across Europe as the early trade routes introduced fruits and exotic spices into the heavy dishes of the north. I was intrigued that the recipe calls for a whole orange – peel and all. But the finished product has a delightful bitter tang that is smoothed by the sweetness of the dates, honey, and brown sugar. Just make sure your food processor is in good working order, it will get a quite a workout transforming the orange into a pulp. The warmth from the spices fills the air as they bake, and just a hint of Christmas escapes the oven when you pull the muffins out to cool. 1. 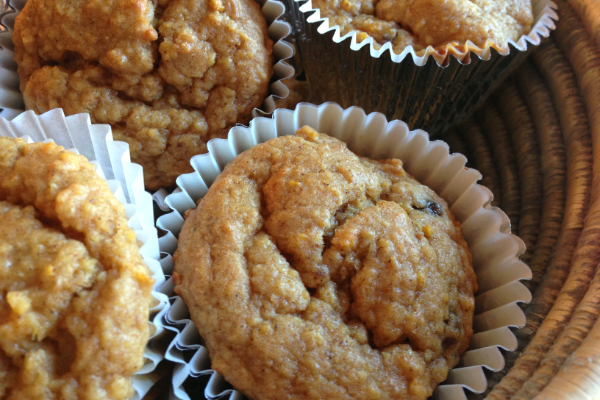 Preheat the oven to 400 degrees F and line a 12-hole muffin pan with paper baking cups. 2. Slice the orange into quarters [or maybe even eighths] and remove any seeds, but leave the peel on. In a food processor, whiz the orange, egg, butter, dates, milk, and honey together until finely chopped and well combined. 3. Sift the flour, baking powder, baking soda, cinnamon, and a pinch of salt into a large bowl, then add the sugar. Make a well in the center and pour in the date and orange mixture, stirring until just combined. The mixture will be runny. 4. Spoon the batter into the baking cups, filling each about three-quarters full. Bake for 15-20 minutes until risen and golden brown. 5. Remove from the oven and leave to cool in the pan for 15 minutes before transferring to a wire rack to cool completely.